Note: This is an official BCMC page, however KERRY'S K9 FUND will be a separate fund managed by a trusted BCMC member. Totals will be posted. This is just one of many funds that our club has managed in our 20 years. Placing this site/fund on our servers results in cost savings, which in turn allows more funds for this cause. The following information, site hosting, labor, store and PO Box are being provided at no charge to Kerry's K9 Fund. At this time, donations are not tax deductible, as filing for a non-profit 501(3)(c) involves high costs. This page was created to honor our friend in words, images and now a way for YOU to honor Kerry's memory. Kerry loved dogs. He was also involved with military and law enforcement. We decided to bring these important aspects of Kerry's life together and honor his memory by creating a memorial fund in his name. In lieu of flowers, the family asks that you contribute to KERRY'S K9 FUND, where 100% of the monies raised will go to purchasing ballistic vests for police dogs. Please see below for more details & current donation totals. "It is with profound sadness that I have the task of informing our Mustang hobby friends of the untimely death of our friend and fellow club member, Kerry Donald Lawrence. Kerry passed away Saturday morning, July 11 while undergoing treatment related to his 4-year long struggle with cancer. Kerry was 68 years old. 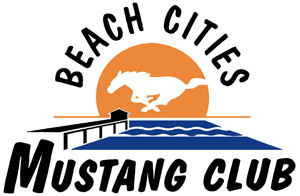 Kerry was a long time member of the Beach Cities Mustang Club, as well as a Mustang Club of America National Director at the time of his passing. After his family and closest friends, Kerry's passion in life was being a part of the Mustang hobby. He was a passionate supporter of the Mustang Club of America, its principles and goals as a national Mustang club. 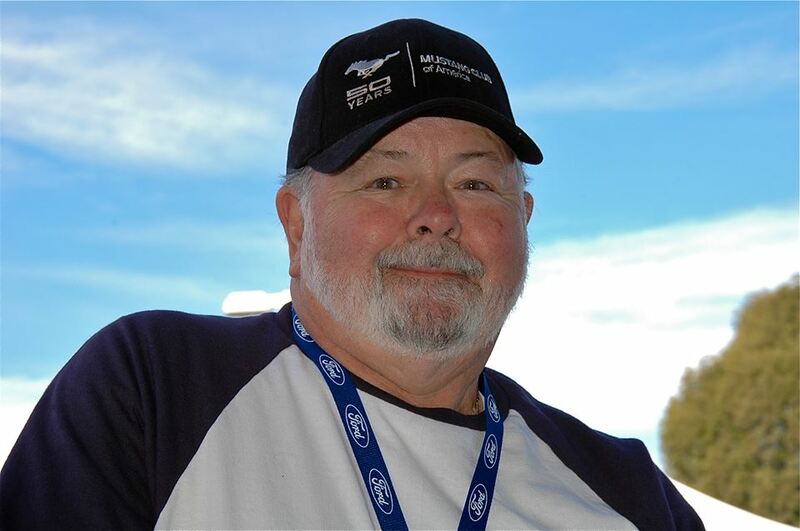 Kerry did his best in good times and through trying health issues to work with his regional clubs and pursuing unaffiliated Mustang clubs to join the National organization. 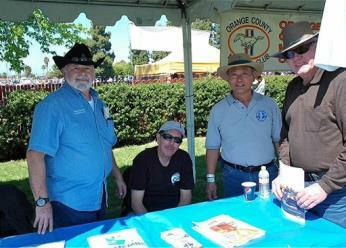 Kerry was an important part of the Beach Cities Mustang Club and was a valued member of their Car Show Committee. He was responsible for running Day of Show entries and assisting in the huge task of Ballott Counting at the Ponies at the Pike Mustang & Ford car show. 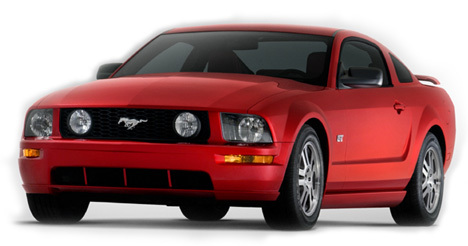 Anyone who was fortunate enough to meet Kerry at any event, immediately became part of Kerry's extended Mustang family. He transmitted his enthusiasm of life and the hobby to everyone he met. His love of people and life was always evident in everything he said and did with his Mustang "family". Kerry expressed to me his "bucket-list" desire to once again own a Mach 1. I eventually located the "car of his dreams", a 1969 Mach 1 built at the Ford plant in Metuchen, New Jersey, his birthplace and hometown. To say he was overjoyed was an understatement. Over the few months of his ownership, he thanked me over and over again for finding this particular Mach 1. He was back in the car, perhaps, back in time too. 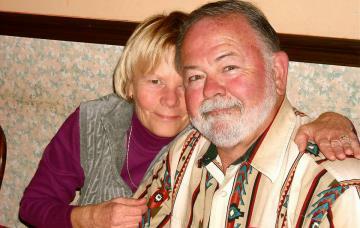 Kerry and his lovely wife, Sherri traveled throughout the Mustang world, making 1000s of friends from coast to coast. It seems like everyone that owns a Mustang knows Kerry and Sherri. I am just one of those many people, thankful that Kerry passed by my way some years ago. Our lives were enriched by him, and ultimately are diminished by his passing. It will be a tough time without him at future car shows and club events, but Kerry would want us all to have a good time with each other and our Mustangs. We will be offering a few items to purchase that will raise additional monies for this memorial fund. You can also purchase poker hands for $10 each during online registration. Help support this important cause! The day starts with breakfast at Applebees (arrive between 8 - 9am), then a 30 mile cruise/poker run. HELP US PLAN - PLEASE REGISTER ONLINE!